In today’s fast paced environment companies are struggling hard to compete with their business rivals. The right company’s software has become the key element in business success. Microsoft Dynamics 365 provides a powerful platform to perform your business operations more efficiently. Microsoft Dynamics 365 is the cloud based ERP and CRM system and part of the Microsoft Dynamics family. Dynamics 365 is designed to help you get control over your business operations. 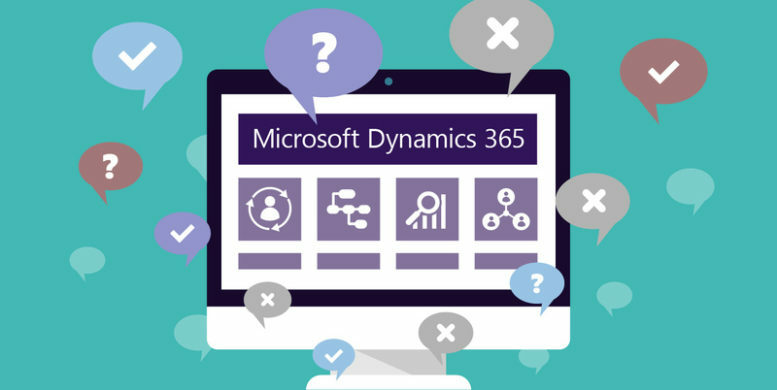 The Microsoft Dynamics 365 was launched in July 2016 that is basically a cloud service. Microsoft combined cloud CRM and ERP services at one place through Dynamics 365. As your business grows you can add more applications in Dynamics 365 to manage different business field e.g. sales, project services, marketing etc. Microsoft introduced a new Data Loader service in Dynamics 365. The data loader feature would enable users to perform bulk import and export data operations more efficiently. The main purpose of this feature is to perform large data files upload with ease. The visual scheduling feature would allow assignment and re-assignment of a specific job to a resource. It will possible to switch a job to another resource with ease. Microsoft also aims to introduce On hand view app for mobile that would be accessible anytime and anywhere. The main aim of this app is to enable viewing of license plates, scan numbers, pending material, reserved material etc on hand. The people belonging to warehouse, purchasing, sales, manufacturing, management, and other roles will get an easy and quick mobile insight. The mobile warehouse app is also designed to perform warehouse operations easily. You do not need to download warehouse portal even because it will connect to the dynamics 365 existing business logic. In current ERP system or software a person could become the part of only one project at the same time. In dynamics 365 Microsoft introduced new feature in which a person can get employment in different legal entities at the same time.